Tucked away in Australia's south-west corner, the Margaret River region is known globally for its wine, beaches and stunning scenery. It's high on everyone's travel hit list, but what are the absolute musts on your itinerary? Here are just a few reasons to make a visit to Margaret River a priority. Home to almost 100 wineries, the Margaret River premium wine region offers endless opportunities to sample some of Australia’s most exciting wines. All three Ultimate Wineries in Margaret River offer casual tastings and wine flights, but of course, we recommend booking ahead for an Ultimate Winery Experience to remember. Visit the Margaret River Farmers’ Market - a feature of the region for over 13 years. From humble beginnings the market has grown to be a Saturday morning fixture with up to 50 stalls. Sample handcrafted cheeses from Yallingup Cheese Company where you can also pick up a picnic packs and deli treats for a casual lunch. Forgot to make a dinner reservation? Grab a gourmet hamper from The Larder then head to Sugarloaf Rock lookout, south of Cape Naturaliste, to watch the sun set behind the ocean while you picnic. Hone your skills at Luxury Lodge of Australia, Cape Lodge, in Yallingup: learn from one of the best at a seasonal cooking class led by executive chef Michael Elfwing. The tutorial is followed by a delicious long-table lunch. At Voyager Estate, the famous Discovery Menu designed by Head chef, Santiago (Santi) Fernandez and his team takes inspiration from the vineyards and winemaking process in creating dishes that bring a small part of the Estate to the table. Celebrating the art of living well, the Leeuwin Estate Restaurant combines fine wine and food in a picturesque setting. 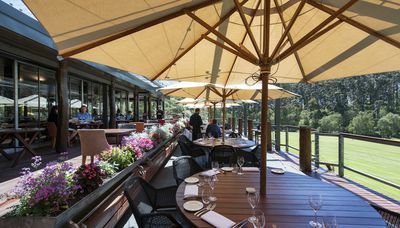 Sweeping verandahs, bifolding doors and domed skylights allow Leeuwin's Restaurant to bask in the tranquility and beauty of its superb setting, overlooking a meadow surrounded by a forest of majestic karri trees. The Vasse Felix Restaurant offers a beautiful setting to indulge in regional flavours, textures and creative cuisine to compliment the Wine Collection. The menu is created from local, seasonal produce and changes daily as new ingredients become available. Modern Australian in style, the menu draws inspiration from international preparation techniques, fused in a manner unique to Vasse Felix. Cape Leeuwin boasts the tallest lighthouse on the Australian mainland. Climb the 176 steps for unrivalled views of the point where the Indian and Southern oceans meet. The 59 steps at Cape Naturaliste Lighthouse, perched high above Geographe Bay, are an easy ascent. Follow the climb with a ramble along one of the nearby trails for gorgeous ocean views. The Cape Naturaliste Lighthouse shines a beam for 25 nautical miles (46 kilometres) from 123 metres above sea level, thanks to the high output LED array that sits inside the first order Fresnel lens made by Chance Brothers. Check it out on a guided tour to the top of the 115 year old icon. 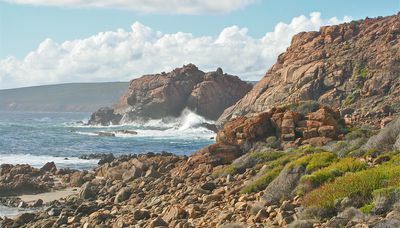 The Cape to Cape Walk Track runs for 135 kilometres along the Leeuwin-Naturaliste Ridge, between the lighthouses of Cape Naturaliste and Cape Leeuwin in the far south west of Western Australia. It features spectacular coastal and forest scenery, a fascinating geology of cliffs, caves, headlands and rock formations and an ever-changing display of vegetation and wildflowers. Guided walks are available through small sections or along the entire track. 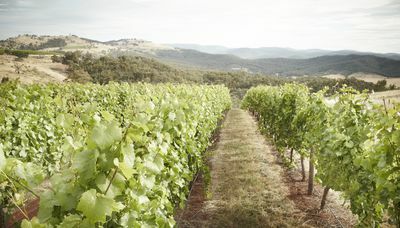 On the Vasse Felix Cape to Vine Day Trip, explore a section of the track with an expert tour guide before a behind-the-scenes tour, tasting and lunch at Margaret River's founding winery. Explore the eerie subterranean realms of Mammoth Cave and Lake Cave in Boranup and Jewel Cave in Deepdene. The fragile stalagmites, stalactites, shawls and columns, which have formed over a million years, are hauntingly beautiful. Explore the ancient wonders of Ngilgi Cave; one of Geographe Bay's most renowned tourist attractions. The fascinating association with a rich Aboriginal legend describing the battle between a good spirit (Ngilgi) and an evil spirit (Wolgine) gives Ngilgi Cave its name. September to November is wildflower season in the Margaret River region, October being the best month to see them in full bloom. Extreme climate shifts and poor soils have promoted a unique specialisation of the south west’s plant species including banksia plants and kangaroo paws while our majestic jarrah, marri and karri forests are three eucalyptus trees specific to this corner of Australia. Renowned for rare orchids and stunning wildflowers which attract botanical enthusiasts from around the world, you will be bewildered by the explosion of mesmerising colour and delicate designs nature has bestowed on this wildflower hotspot. “Margs” has consistent year-round swell, making it a magnet for surfers. Witness the world’s best display their skills in the Margaret River Pro in March/April each year. Catch a few waves of your own. Yallingup and Prevelly beaches have the most renowned breaks but, be warned, the seas can be big and rough. Group or private lessons are recommended for the uninitiated. Not a surfer? Josh Palmateer’s Surf Academy also hires out kayaks, canoes and stand-up paddleboards from the Margaret River Mouth car park. Gliding along the three-kilometre stretch of pristine river offers glimpses of scenery that cannot be seen from dry land. Take a stroll along one of the beautiful stretches of beach: Gnarabup, Smiths and Meelup all offer pristine barefoot strolling conditions. Short of time or keen to have the itinerary worked out for you? Consider a guided tour in the experienced hands of ExperienceSmith, our travel partners in Margaret River. Choose from a one day, overnight or five day luxury itinerary incorporating visits to Leeuwin Estate, Vasse Felix and Voyager Estate.